Chuckanut Skagit Harvest Ale was hand tailored for the Skagit Farm to Pint Week. This deep golden colored ale showcases local grains malted at Skagit Valley Malting next to our South Nut Tap Room. The malt backbone features Skagit’s new Francin Pilsner Malt, inspired by the Czech Republic. We used spicy noble Czech Saaz hops to pair with the Francin, then amplified the spicy character of the hops with Rye malt. We also used an experimental hop variety grown in Yakima to add pear notes complimenting the spicy hops and Rye malt. 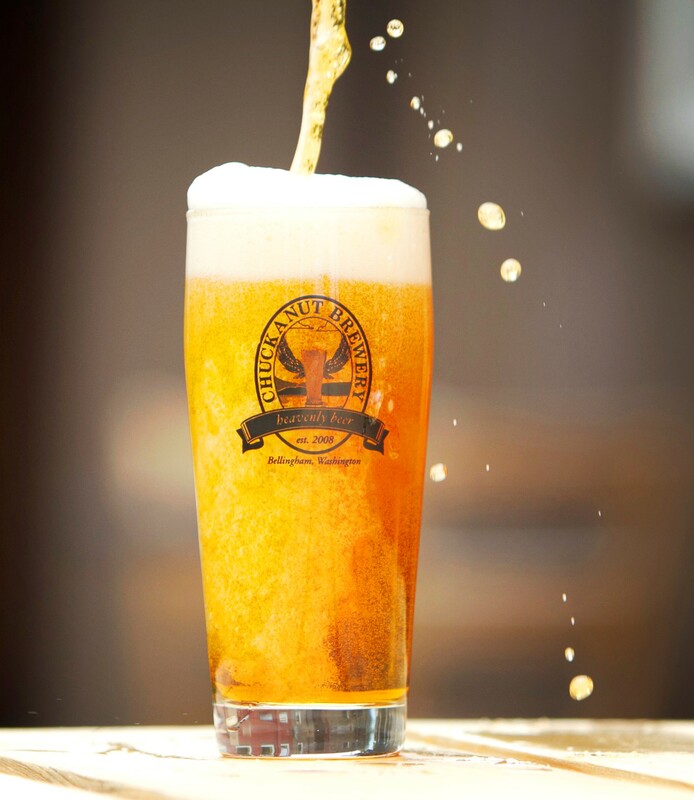 Celebrate Skagit Farm to Pint with this intriguing Czech American Hybrid Pale Ale! Skagit Harvest Ale is a great match for bready sandwiches, beer pretzels and other grain oriented foods. Spicy foods work well to highlight the toasty, bready aspects of this Chuckanut ale. It’s also a great beer on its own, cheers!